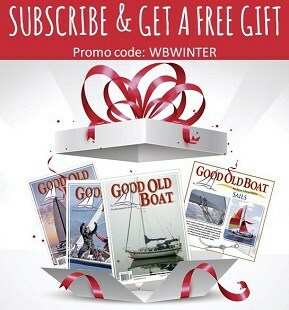 For many, learning how to build a boat is a lifelong dream. Today, with boat kits, YouTube instructional videos, and online boat building communities, it’s easier than ever to build a boat. As a result, the internet is awash with designs for homebuilds. 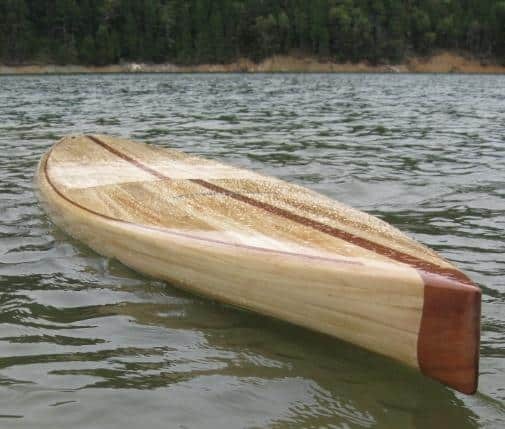 From collapsible cedar strip kayaks to bluewater cruisers, the design options are endless. There’s also a wide selection of kits that include pre-cut materials, making for easier and faster builds. Kits tend to be pricey ($1K+) but often include full technical support. 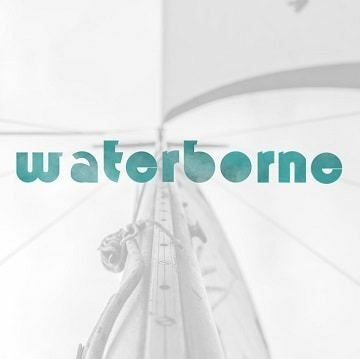 Here are some DIY boats and designs that caught the eye of Waterborne’s editors. 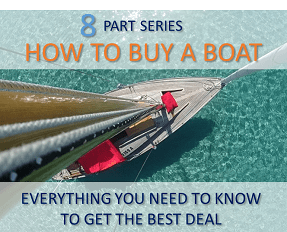 Build a boat that easily fits in the back of a truck or on the deck of a larger sailboat. We love the versatility of the PT Eleven Nesting Dingy. It rows, sails, motors and collapses down to 6-feet. Designed with serious cruisers in mind, it would make the perfect tender and toy for offshore sailors. The base kit is $2500 and it takes 190-300 hours to build. 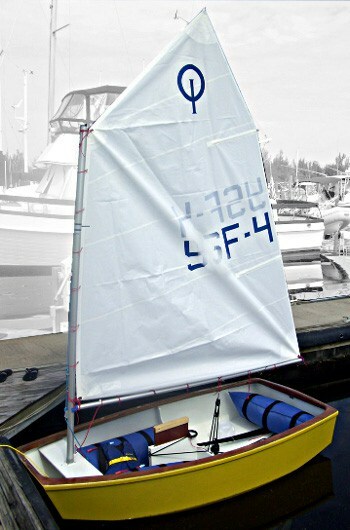 The Optimist is the quintessential first dinghy. 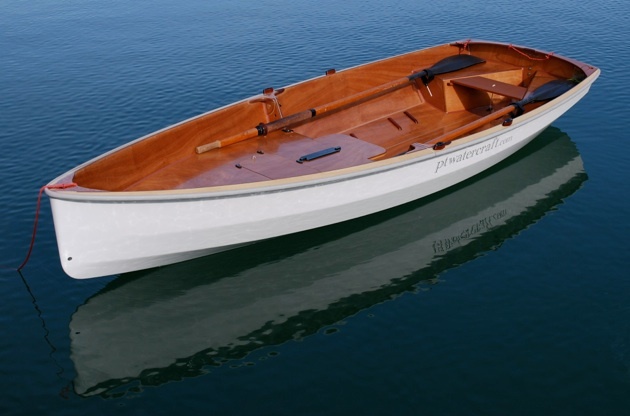 For many sailors it’s the first boat they sail, but it also makes a great first project for the amateur boat builder. 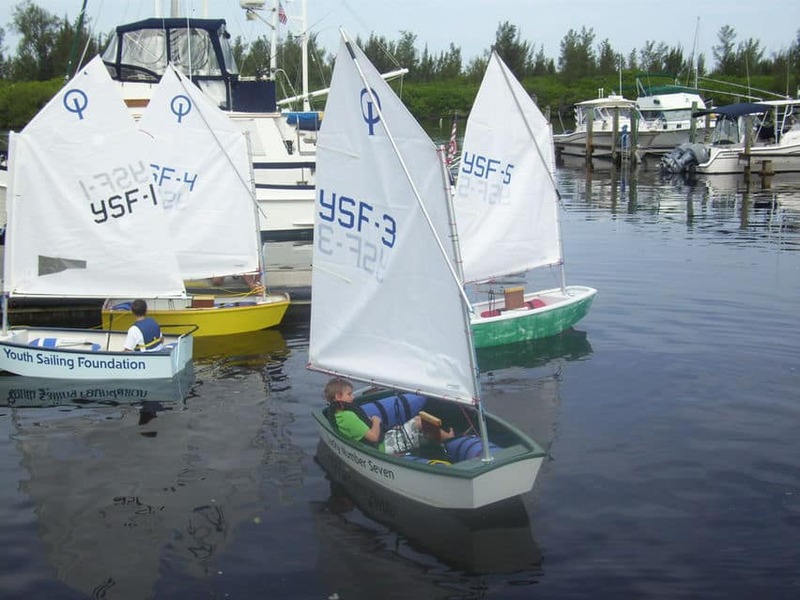 It’s the perfect boat if you have a kid who’s interested in sailing, racing, and even boat building. 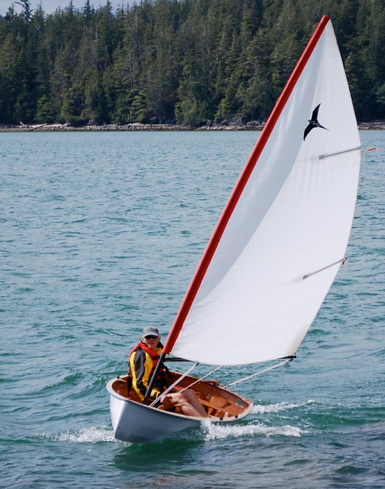 The design dates back to 1947, when Clark Mills designed a simple boat that children could sail and build themselves. We like this Clark Mills Club Racer epoxy and wood build (that meets IODA standards). Kit cost $995. 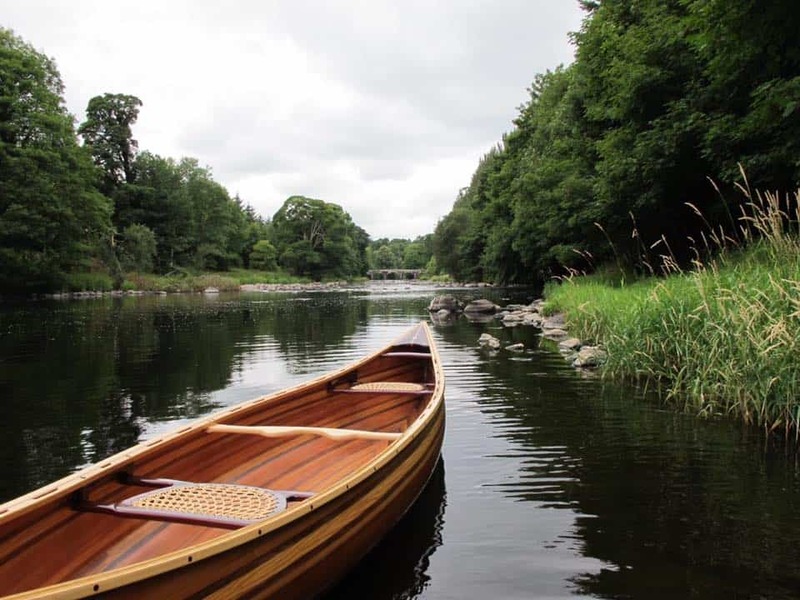 It doesn’t get more classic than a cedar strip canoe. While the finished product can make it look like an intimidating project, many first-timers successfully complete strip-built boats. We love the look of this pocket-sized prospector canoe sold at Bear Mountain Boats. Bear Mountain’s site is well worth exploring for boat building inspiration and resources. 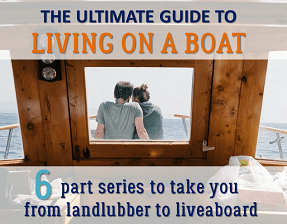 Not only do they organize in-person classes and small boat-builders events, but their small boat building community is active on Instagram and Youtube. Plans for the Ranger 15 are $95 and the kit is $2,580. Stitch and glue is a method that involves stitching plywood panels together with wire and gluing the seams with epoxy. If you’re short on time, stitch and glue kits tend to be easier and quicker than strip-built kits. We love Bill Thomas Maker’s Willow Sea Kayak. Ideal for day paddles and multi-week expedition capable. The Chewonki Foundation offers a program where kids spend two weeks building a Willow Kayak and three weeks paddling them down the coast of Maine. 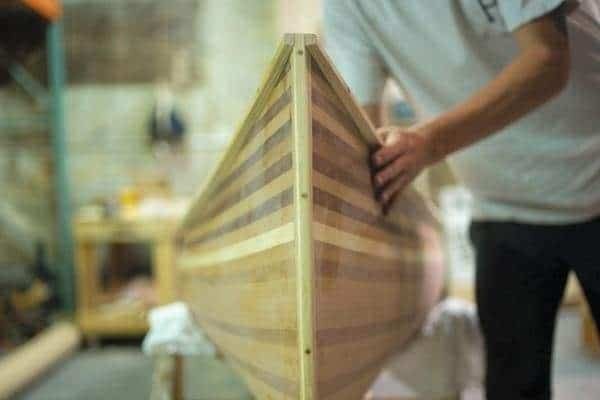 The horizon is the limit in boat building, with some amateurs building boats to sail around the world. 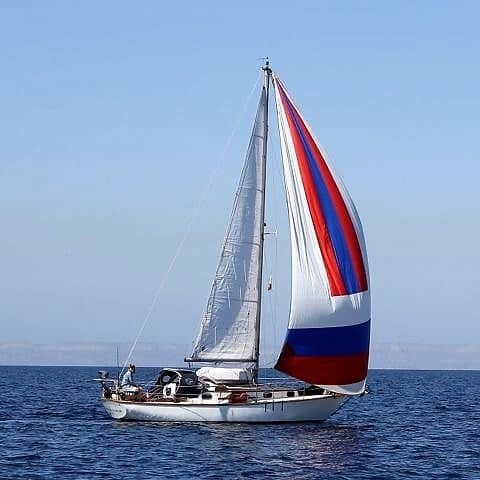 Sailing icons, Lin and Larry Pardey built their own bluewater cruisers and have published several books detailing their adventures. Lin beautifully recounts the story of building their second boat in Bull Canyon. Larry authored a must-read for any boat builder: Details of Classic Boat Construction, a veritable tome of boat building knowledge. 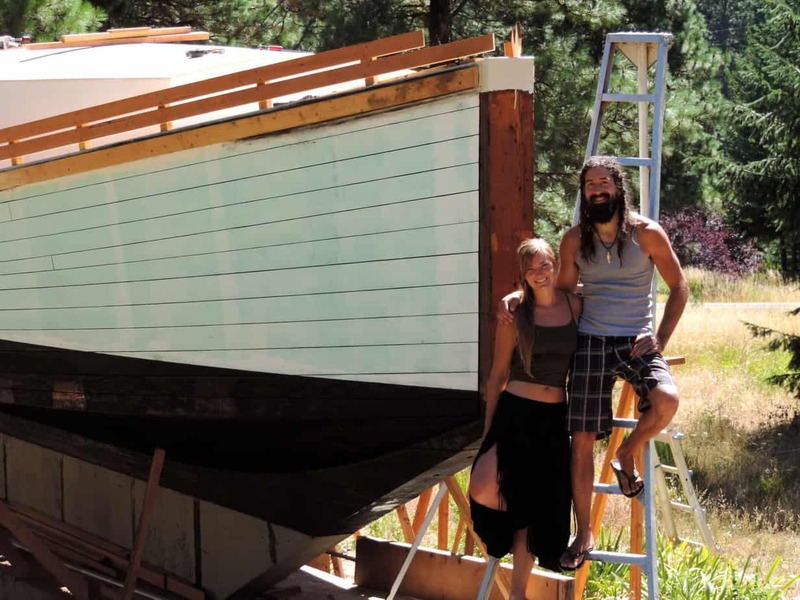 There are also some millennials embarking on these ambitious projects, for instance, this couple built a wooden 35 ft. bluewater sailboat in the middle of the Washington wilderness and started a popular vlog about their experience. 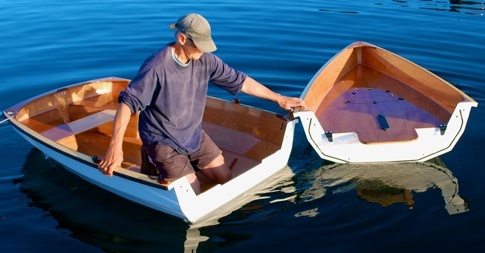 Learning how to build a boat might not be as hard as you think. 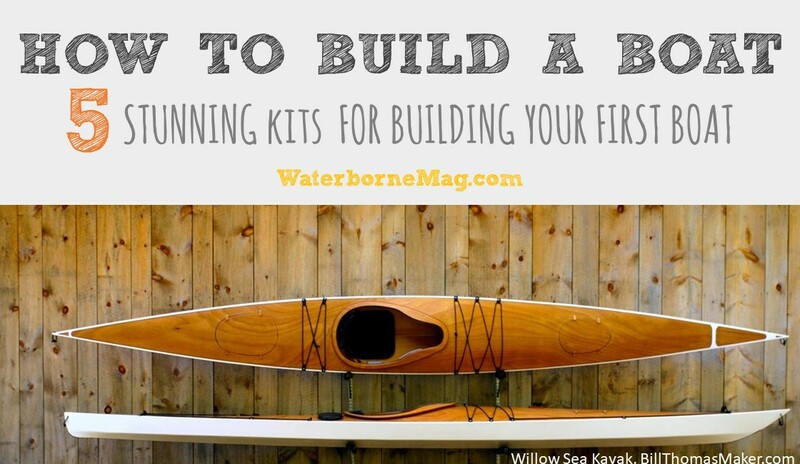 Here are some DIY boat kits and designs that caught the eye of Waterborne’s editors. Wooden boat building is as old as humankind. It’s been a primary means to explore distant shores and cultures. The allure remains today. Use nature’s natural building materials to create your craft and head off on your great adventure. Here’s one wooden boat project that you might not want to undertake yourself, but you can learn a lot from – the restoration of Tally Ho, a 100+ year old English sailing yacht. Check out the YouTube playlist here… http://bit.ly/tallyhoplaylist … If you want to get hands on, you can even volunteer to work on this project. An extra surge of volunteers are need in March 2019 for a big push to complete frame replacement. Contacts links are on the video. BTW – this is definitely a “young” adult project. If you are interested in the history of wooden sailing craft outside of the European tradition – check out the documentary, “The Last Sailors: The Final Days of Working Sail” narrated by Orson Welles. And there is a companion book available too, The Last Sailors: The Final Days of Working Sail by Neil Hollander and Harald Mertes – St. Martin’s Press, 1984.